DARTMOUTH, Mass. 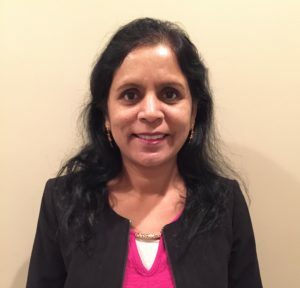 — Southcoast Behavioral Health is excited to announce that Kalpana R. Polu, MD, has been appointed Medical Director of Adolescent Services; overseeing the new 24-bed unit and outpatient treatment center for patients ages 13 to 17. Dr. Polu comes to Southcoast Behavioral Health from Arbour-Fuller Hospital in South Attleboro, Mass., where she served as Medical Director. In that role, Dr. Polu was responsible for managing medical staff and overseeing psychiatric care for patient populations suffering from severe mental illness. Prior to her appointment as Medical Director, Dr. Polu led the adolescent psychiatric unit at Arbour-Fuller and was instrumental in developing team-based approaches to patient care. She also has extensive experience with outpatient community mental health, through her previous work with rural communities in the East Texas area. With this work, she dealt with crisis management and treating a wide variety of psychiatric disorders in underserved areas. Dr. Polu earned her medical degree at Osmania University in Hyderabad, India. She completed her residency in Austin, Texas, specializing in General Psychiatry and Child Psychiatry. She is certified by the American Board of Psychiatry and Neurology.